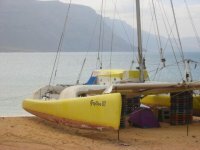 The Canary Islands are an excellent sailing area that can be used around the year. During the summer months there is a constant northeast trade wind and in winter the climate is mild compared to the European sailing areas. Right from the beginning, seafarers have been using the Canary Islands as their last stepping stone for the long sailing trip to America, and it is therefore not surprising that the Mini Transat makes a stopover in Lanzarote on its way to Bahia in Brazil. With its harbors Playa Blanca, Arrecife and Marina Puerto Calero, as well as the beautiful Caleta harbor on La Graciosa, Lanzarote offers a gorgeous sailing scenery. There are also numerous bays to anchor in, and Playa Francesa on La Graciosa as well as the Papagayo beaches in the South. Fuerteventura is ideal for short and medium sailing trips, and five other islands in the Canary Islands provide the modern yachtsman with a truly rich and varied sailing area. A traditional type of sailing sport with Latin sailboats (Vela Latina) is kept alive in Lanzarote till this day. approx. 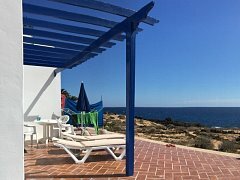 3 km south of Puerto del Carmen. 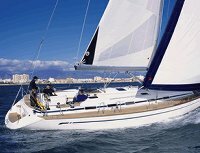 In the following you will find some links regarding the topic of sailing/charter in Lanzarote.